A historic 1906 church that once belonged to a Mexican congregation sat empty, abandoned and covered in graffiti in the East Village of Downtown San Diego. What was once a place of significant meaning, now stood as a vacant, run-down building that only seemed to stand in the way of the rapid progress within the city around it. While many were advocating it be torn down, Eva Thorn and John Eisenhart from Union Architecture could see the beauty it once was. 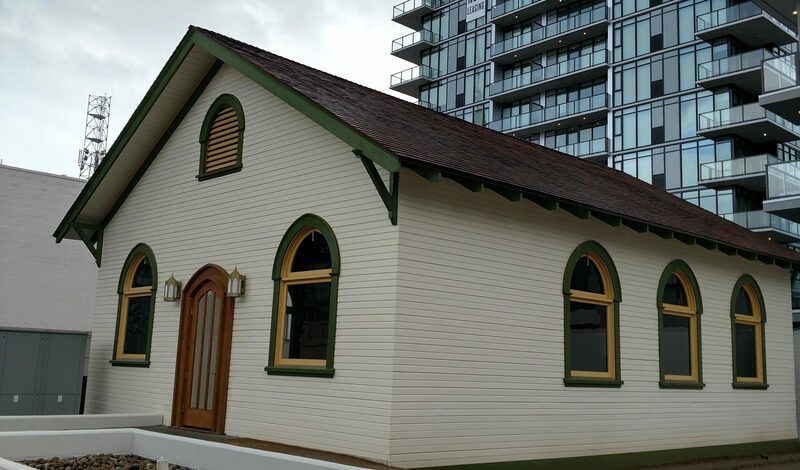 With their influence along with San Diego preservation contractor Michel Khozam from ZMK Construction, the church received a complete restoration. It is now one of East Village’s most valued historic buildings slated to be a restaurant or other business that will be a destination point for locals as well as visitors.